Country Farm and Home, located on Hwy. 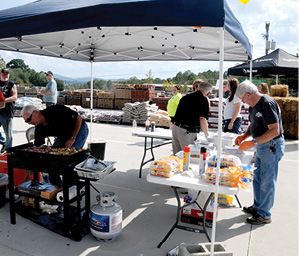 111 in Byrdstown, Tennessee, held its annual Farm Fest last Saturday, October 6. 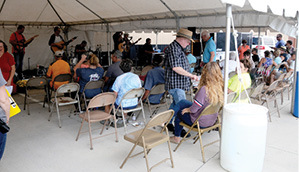 Above, The Backroads Band performed while customers enjoyed the free samples of food cooked by Holland Grill Representatives, as shown in the below photo.